A fail-safe supply network is designed to mitigate the impact of variations and disruptions on people and corporations. This is achieved by (1) developing a network structure to mitigate the impact of disruptions that distort the network structure and (2) planning flow through the network to neutralize the effects of variations. 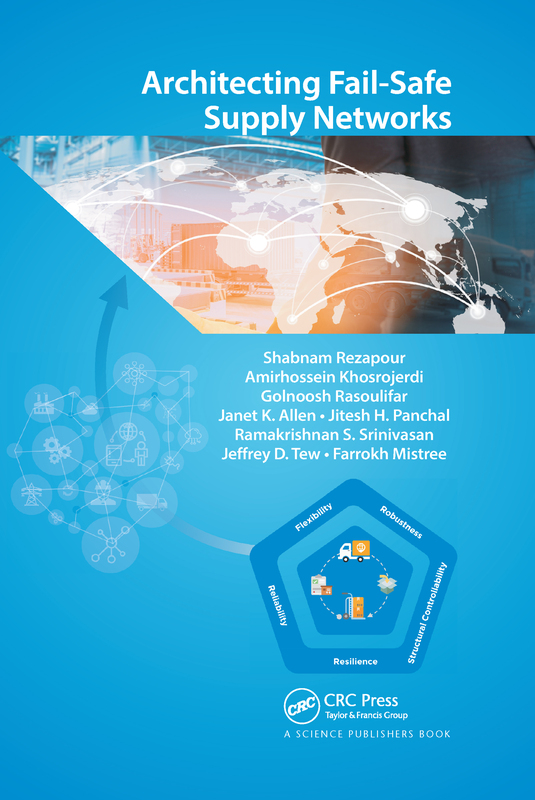 In this monograph, we propose a framework, develop mathematical models and provide examples of fail-safe supply network design. We show that, contrary to current thinking as embodied in the supply network literature, disruption management decisions made at the strategic network design level are not independent from variation management decisions made at the operational level. Accordingly, we suggest that it is beneficial to manage disruptions and variations concurrently in supply networks. This is achieved by architecting fail-safe supply networks, which are characterized by the following elements: reliability, robustness, flexibility, structural controllability, and resilience. Organizations can use the framework presented in this monograph to manage variations and disruptions. Managers can select the best operational management strategies for their supply networks considering variations in supply and demand, and identify the best network restoration strategies including facility fortification, backup inventory, flexible production capacity, flexible inventory, and transportation route reconfiguration. The framework is generalizable to other complex engineered networks.